We’re UK and destination wedding photographers Lina and Tom and we’re so happy you’ve found us! A multi award-winning UK husband and wife team based in Cambridgeshire but travelling worldwide, we specialise in documentary-led wedding photography, vibrant destination weddings and fun lifestyle photography. Why don’t you tell us your story – we’d love to hear it! Life is full of awesome moments and we believe your photography should be there for a lifetime and beyond. Our work includes engagement shoots, weddings, natural family photography, small business promo photos, theatre and destination photoshoots – all since the heady days of 2009. Have a big moment coming up in your life? Let us capture it and we’ll be the best decision you make. "If Lina and Tom are not available for your wedding date, we would suggest you move your wedding date..."
What we love most about weddings is that each one is totally unique, just like the two of you. We’ve been proud to be part of a huge variety of weddings – destination weddings, beautiful country weddings, bustling city weddings and multicultural weddings, and we’ve captured each one differently. What makes us different is that we really get to you know you and your day inside out. We’ll meet with you before and share the ideas and dreams of your day. Lina and Tom aren’t just utterly phenomenal photographers, they’re utterly phenomenal people too. Aside from their awesome photography skills, they possess the wonderful ability to understand what makes a couple tick. They were also a fantastic goldmine of tips, suggestions and recommendations and there just aren’t enough superlatives to sum up how awesome they are. I just wish that my wife and I could get married every year so Lina and Tom could be there to shoot it. Book them now!! Whether it’s the family growing bigger, an 18th birthday party, capturing a beloved pet or a golden wedding anniversary, we can preserve these memories for you. Our family and event photography is always natural, genuine and reflective of you and your family. 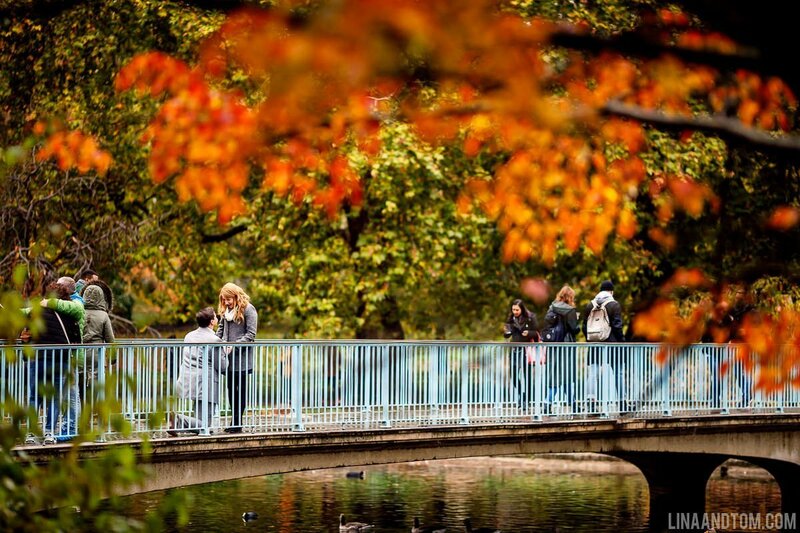 Relax and have fun on a shoot with us, our lifestyle photography is all about enjoying yourself! We allow for smiles, giggles and love so your personalities really shine through. Hello. We’re Lina and Tom, adventurous documentary wedding photographers. We’re a team for life who love weddings, love amazing moments and love each other! We travel near and far for weddings big and small, always shooting together bringing our unique husband and wife team to your big day. We’ve had the best job in the world for over ten years now, and after getting engaged under the Northern Lights in Iceland in 2014 we became husband and wife by the end of the year. We live in a cottage in the Cambridgeshire countryside with our three extremely fluffy cats (Mia, Loki and Lysander) and have been honoured to receive multiple awards for our best wedding photography. We trust each other and know each other inside out, which makes us a husband and wife wedding photography duo you can rely on for the big moments in your life. Lina’s the organiser, the crowd gatherer and a dab hand at lacing or bustling a wedding dress, if the situation demands it! Having had a previous career in the theatre, the world is still a stage. When she’s not behind the camera capturing a magical moment, she volunteers for the local Cats Protection branch and is probably planning her next tattoo, or curling up with a good book. She’s also almost always planning our next adventure! Lina is also a dab hand at public speaking and consultation, and has given seminars on wedding photography at a number of wedding shows, as well as written articles on wedding photography for Photo Pro and Digital Photographer magazines amongst others, and she is also a regular writer for Magpie Weddings Blog. In March 2018 she spoke at the prestigious Fearless Photographers Conference in Croatia and most recently was a judge for Collection 44 of the international Fearless Photographers Awards. Looking for a honeymoon book recommendation? Lina was also the main consultant on Sunday Times bestselling author Paige Toon’s book Thirteen Weddings. Tom’s all about stealth. He’s the quiet force on your day, capturing those unseen moments – the furtive glances, tiny tears and cheeky smiles – once-in-a-lifetime photos that you’ll look back on fondly, but never knew he was there. He’s been known to perch precariously atop walls and lie in the mud for the best shot. Tom’s passion for photography began in his early teens when his Grandad Wilf gave him a Canon AE-1 and many a Sunday was spent photographing planes at IWM Duxford. When he’s not at a wedding you’ll find him cycling the Cambridgeshire lanes on one of his bikes, or washing Super Mario (our little red pocket-rocket Abarth!) If you want to get nerdy and talk about all things camera and lenses Tom is your man, along with the good old days of 56k online gaming, Counter Strike 1.6 and Goldeneye on the N64! We’re proud to be recognised by our peers, and to date we have six Fearless Photographer awards and seventeen Masters of Wedding Photography UK awards between us, and we scooped the top Wedding Photographer award at the 2016 and 2017 Four Counties Wedding Awards. We’d absolutely love to hear more about your big day, so why not tell us more? See our latest news and work. 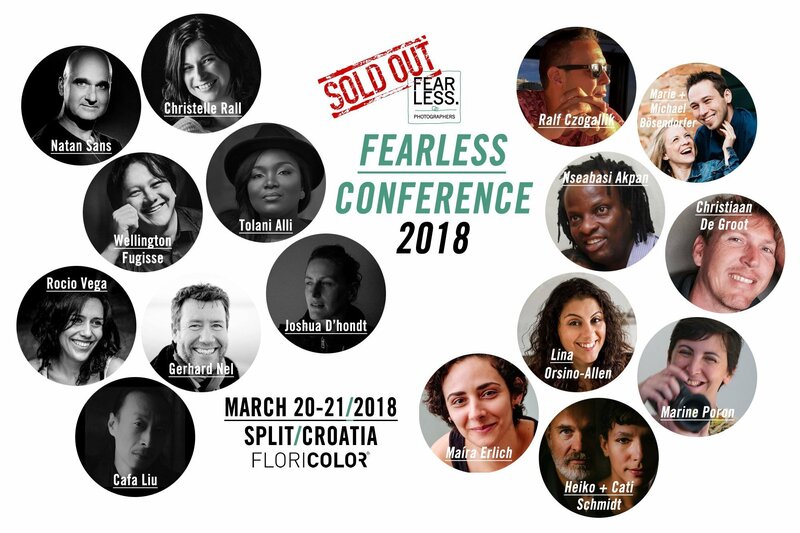 Fun at the Fearless Photographers Conference 2018 in Split Croatia with Lina on stage! We’d love to chat about your plans!